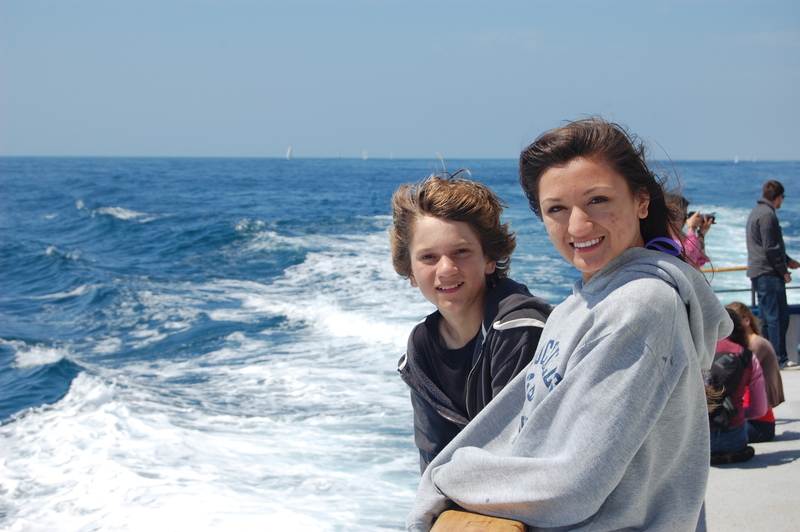 Whale Watching — with Dana Wharf Sportfishing and Whale Watching Co. Cost: Day trips: $45 adults, $40 seniors/military, $30 children ages 3-12, free for children 2 years and under. 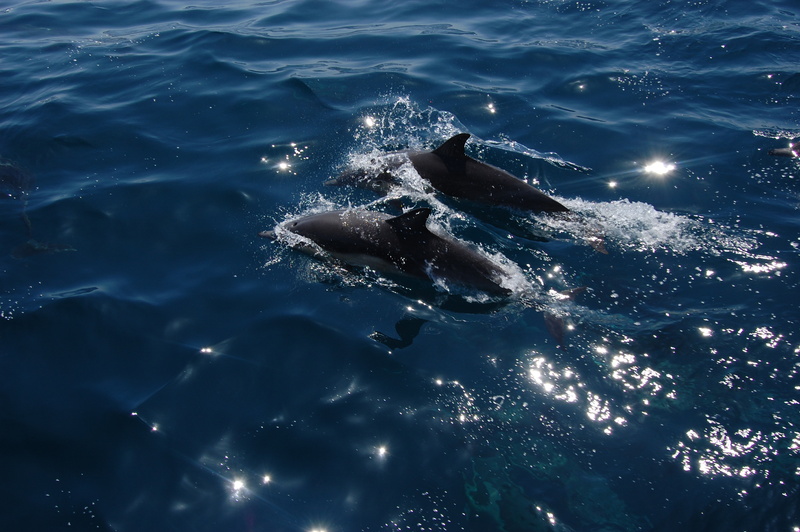 Sunset evening trips: $35 adults, $30 seniors/military, $20 children ages 3-12, free for children 2 years and under. April Whale-Watching special: Half-price on Tuesdays and Wednesdays! 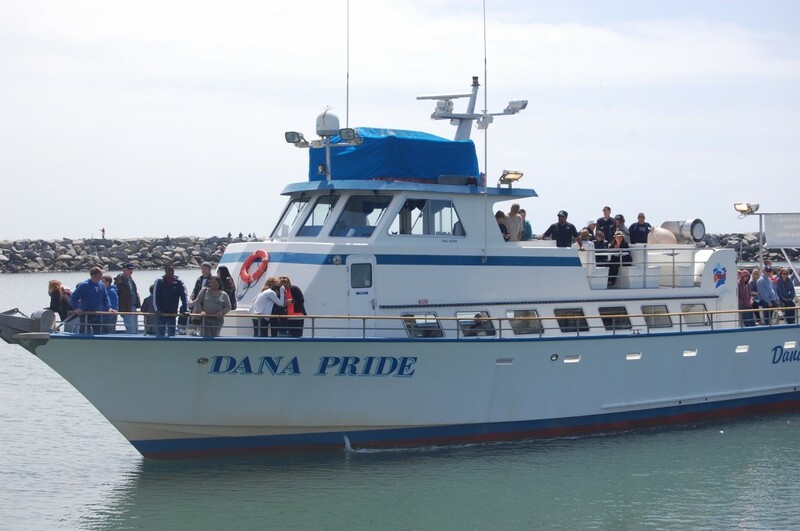 Kids and adults alike will enjoy riding out of beautiful Dana Point Harbor on the 90-foot Dana Pride for a 2-hour adventure to spot as many whales as they can. 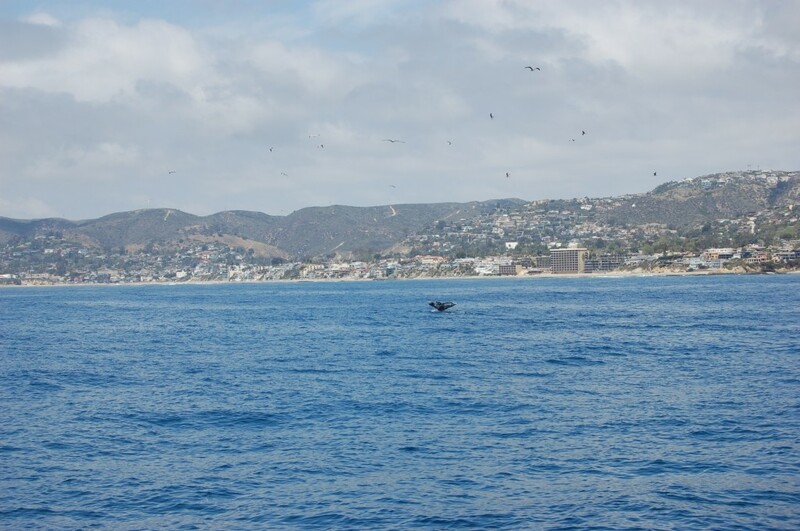 There are multiple trips every day — as well as sunset trips — seven days a week, and no one time is “best.” In fact, no matter when you go, whale sightings are guaranteed during whale-watching season: If you don’t see a whale on your trip, you get your ticket back to come back again! It was a mother Gray with her baby! The ship captain narrates info about the whales, as well as their migratory and feeding habits, and helps you know where to look and when. We stayed for about 20 minutes to watch this mother and baby. They came up about five times, with the captain guiding us for where to look, and everyone got plenty of photo opportunities. Then the captain learned from the Newport Harbor boaters that there was a pod of dolphins heading north, so he took us there. 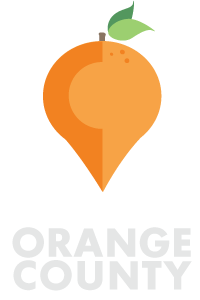 This is a really fun family adventure, and a fun thing to do with teens in Orange County! 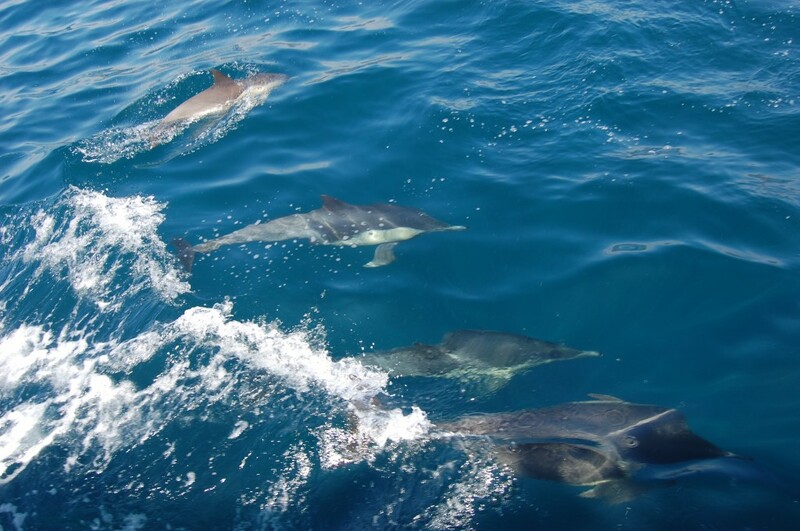 If members of your party tend to seasickness, however, be sure to get some medication or “sea bands” to alleviate it — the boat does change speeds and rock, and we saw some young ones on board who weren’t having such a good time of it. Disclosure: Dana Wharf Sportfishing and Whale Watching gave us free tickets for our adventure, in the hopes we would have a good time (and we did! ), but all the opinions expressed are solely my own. 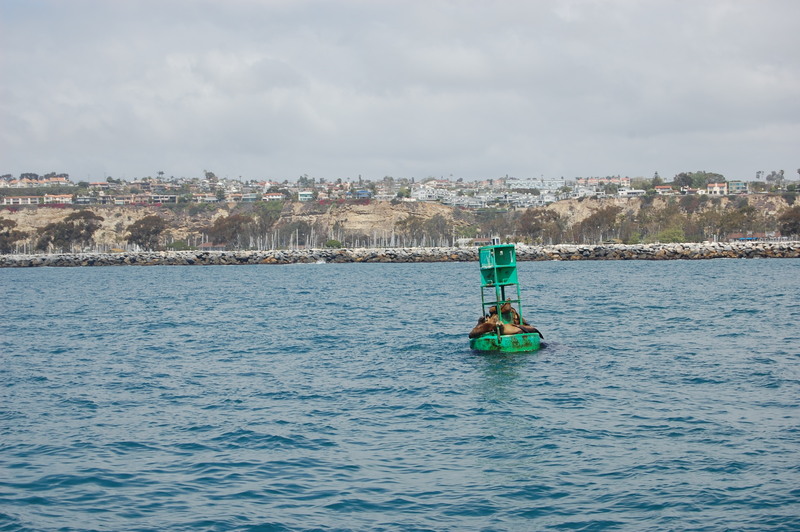 Where to park: Ample, free parking for 4 hours in the Dana Point Harbor area. What to bring: Dress in layers, or bring a sweatshirt for everyone, since it’s always much colder out on the water than it is on land; wear sunscreen (the cool weather can be deceptive, but you are getting sun for 2 hours! ); hats are helpful; bottled water; snacks for little ones if you wish. Dramamine or sea bracelets for anyone who gets motion-sick. 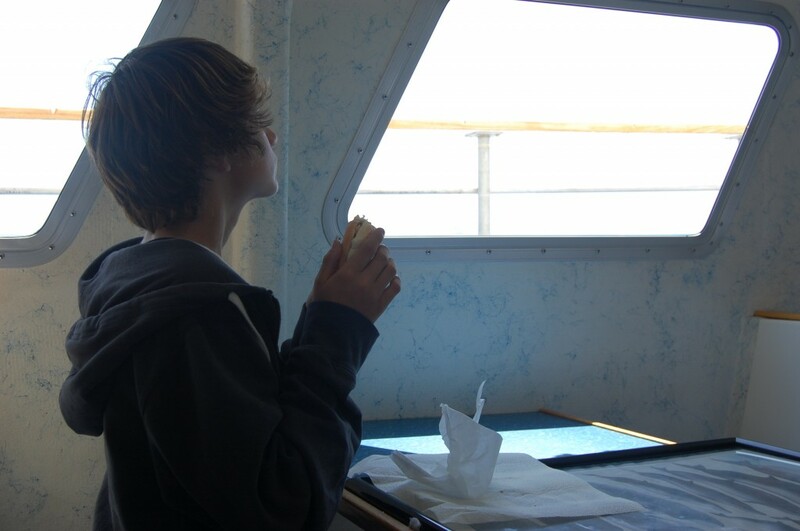 Food and refreshments are available on the boat for about $2-$7. Camera and/or binoculars if you wish. 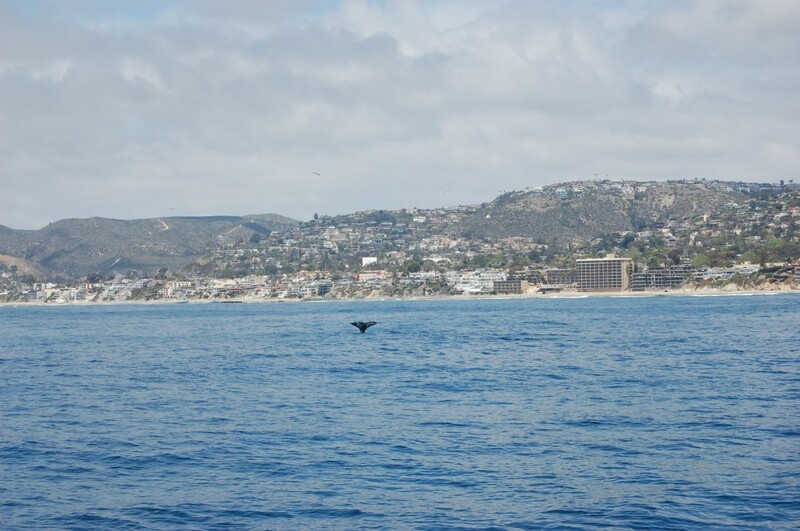 For more information: visit the Dana Wharf Sportfishing and Whale Watching website. 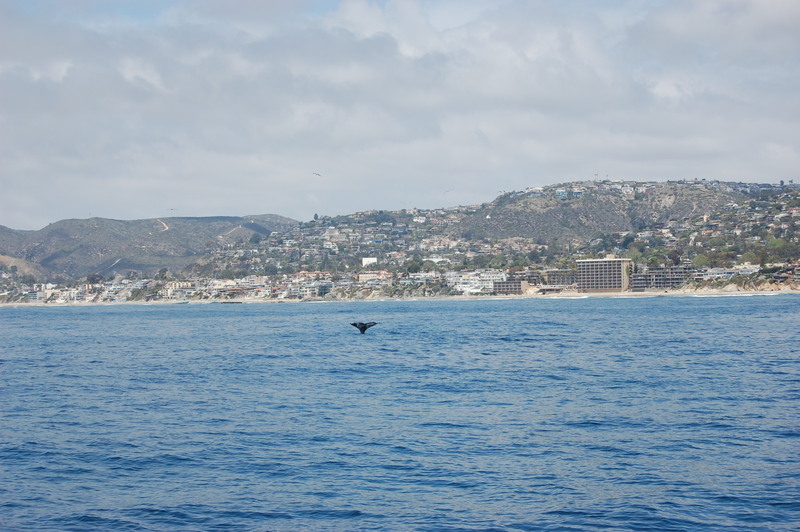 Have you been whale watching out of Dana Point? What did you get to see? This looks like an awesome way to spend the day! Ok I have to admit I spent a good deal of the time feeling seasick. That is totally my fault. I’m prone to motion sickness and did not take the proper precautions before hand. I felt the boat ride was fun though! Everything you’d want out of being on the ocean. Dips and crests, ocean spray and plenty of warming sun! The best part was actually getting to see the animals! Had never seen a whale before and it was an experience. 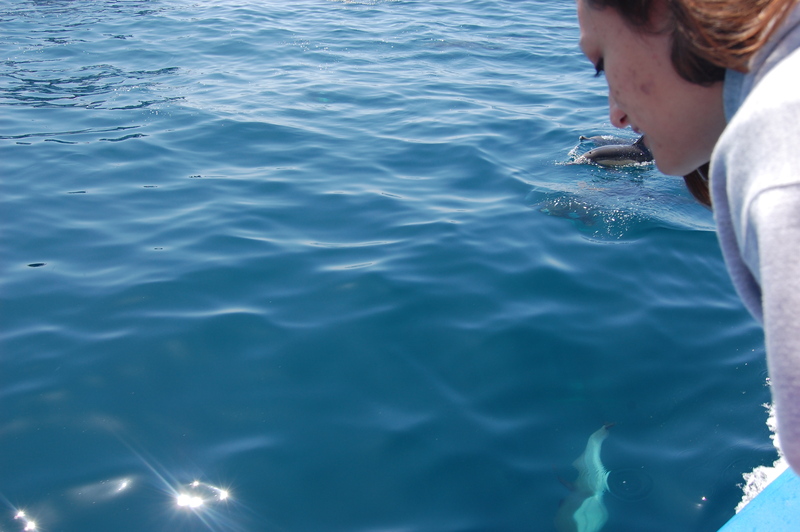 I missed the dolphins as I was really feeling it by this point but I am eager to go back again! The captain and crew were great. I really enjoyed the captain. He tells facts like its the first time he’s telling the group. He still seems very excited, even though you KNOW he does this every day, many times a day. I want to go back SOON, this time, though, I’ll prep carefully first!